need something in a standard size with quicker delivery? These are our lovely new Ready to Paint Cubby Shelves; all ready for you to paint in the colour and finish of your choice! These shelves can be used in any room. 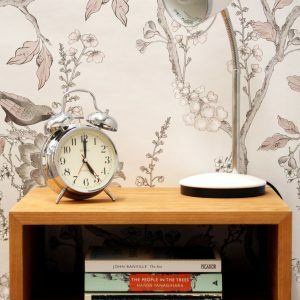 They’re perfect for your TV and home audio box, as a stylish bedside unit, or as handy storage in the bathroom. They can be easily installed into plasterboard or solid walls; just let us know and we’ll provide the right fixings to give you the best result. 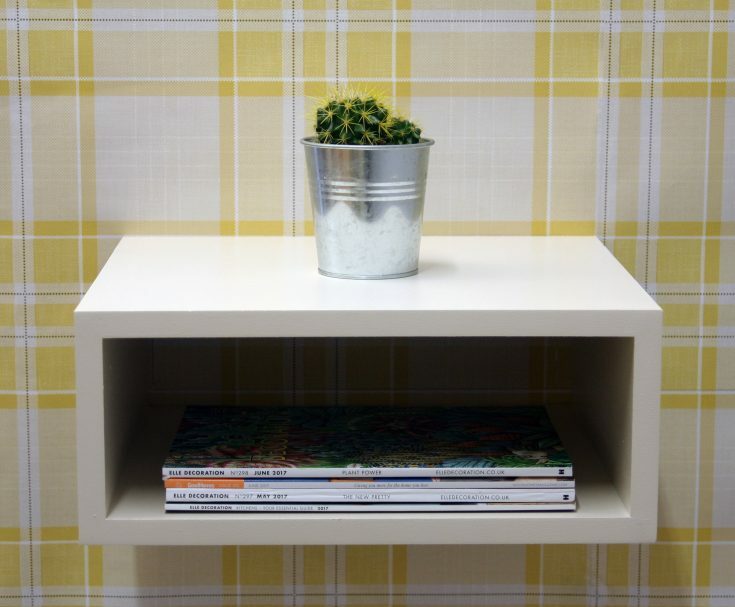 The fixing system for our Cubby Shelves are neatly tucked inside the back of the unit, so maintaining a beautiful floating appearance! 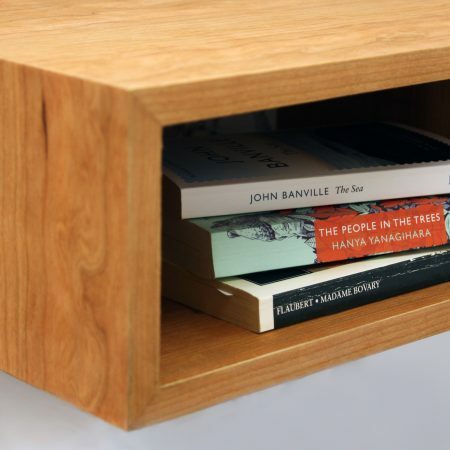 Our Cubby Shelves are also available as part of our range of wood-finish shelving here in a choice of finishes: oak, maple, walnut and cherry. If these dimensions are not quite right for you; don’t worry! 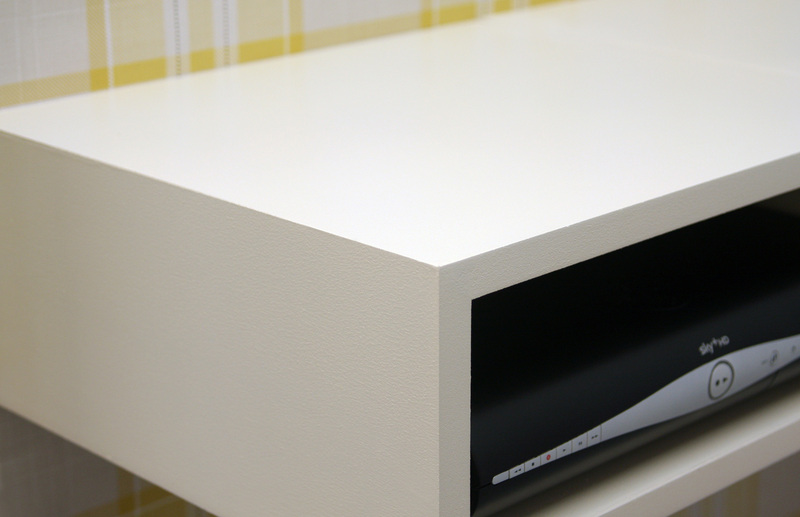 Just drop us an email with the sizes you need and we’ll happily send you a quote for bespoke units. 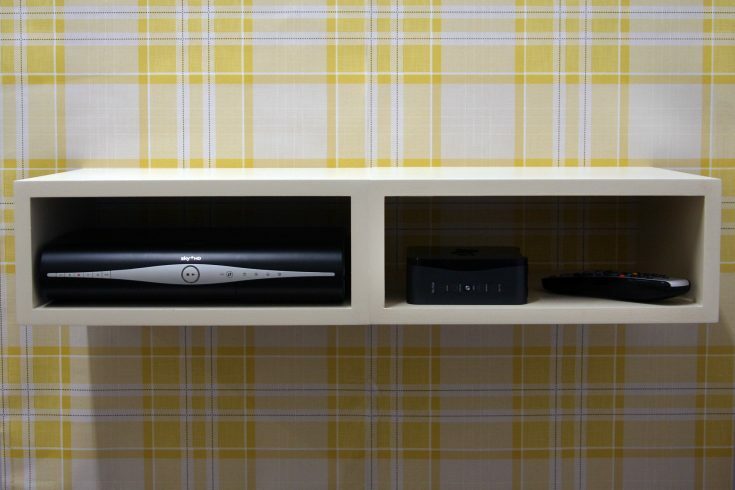 The Cubby Shelf comes to you with all of the fixings and is installed nice and easily, using cabinet brackets (please see illustration below). 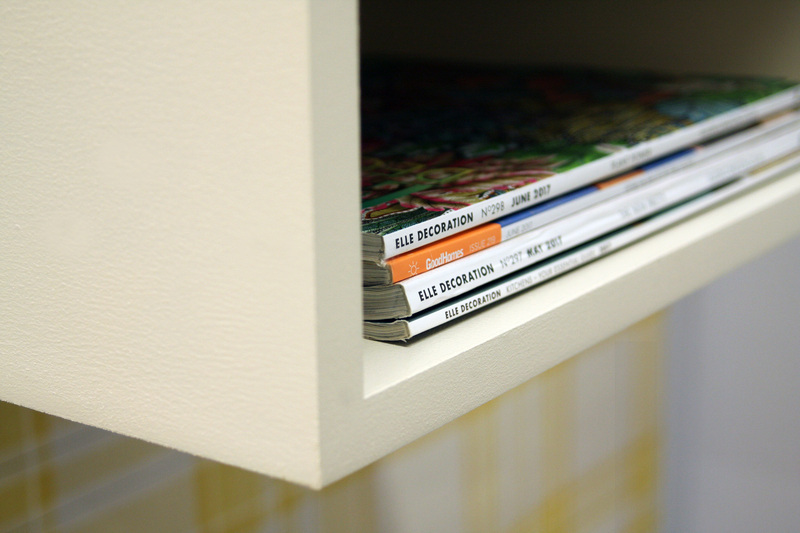 Before we dispatch your shelves, we protect the edges with heavy-duty protective edging. Your shelves are then carefully bubble-wrapped and shrink wrapped to ensure that you receive them in pristine condition. We deliver anywhere in the UK; shipping orders going to Mainland UK addresses for over £75* is free of charge (the shipping charge for smaller orders is £8.00). Deliveries to Highlands & Islands and remote areas are charged at £15.00 as courier charges rise significantly to those areas. As standard, we deliver on workdays, to the address of your choice, and can arrange Saturday and morning deliveries at a small additional charge; please contact us for further details.